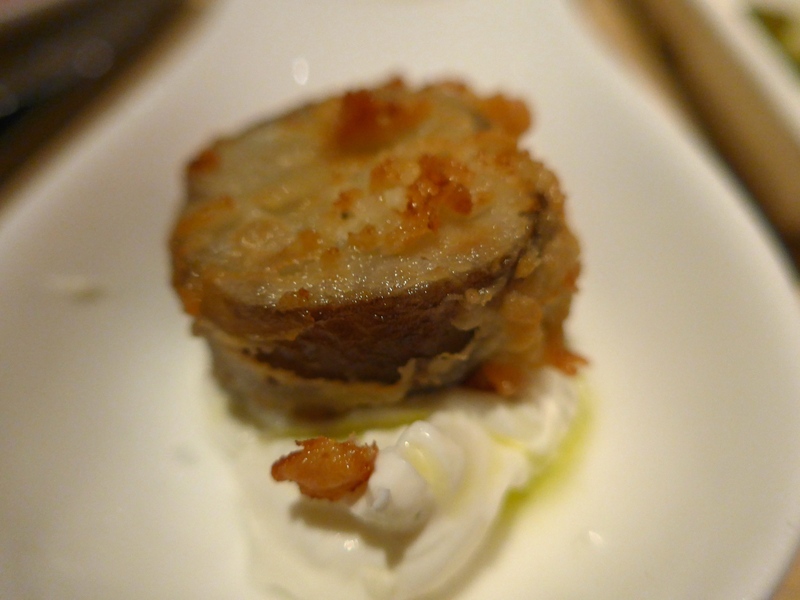 I have a restaurant to tell you about – but, it will definitely leave you with a growling tummy. Snack advisory** retrieve nourishment now! 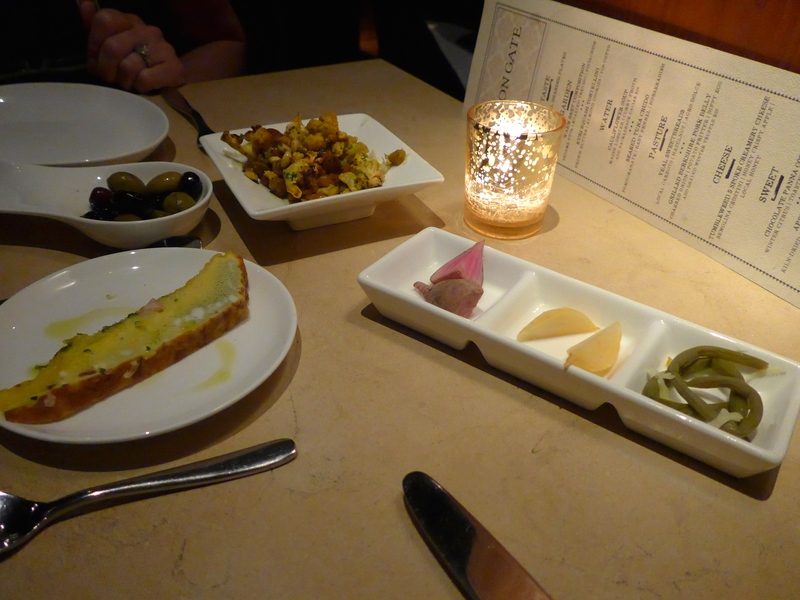 Tucked away in downtown DC lies an evening of epicurean delight. We entered Iron Gate through the glowing entrance of the bar, a long corridor with high ceilings, which was once a carriageway. This leads to an outdoor patio, with twinkling lights, roaring fires and a charming living wall, perfect for a summer’s eve under the stars. 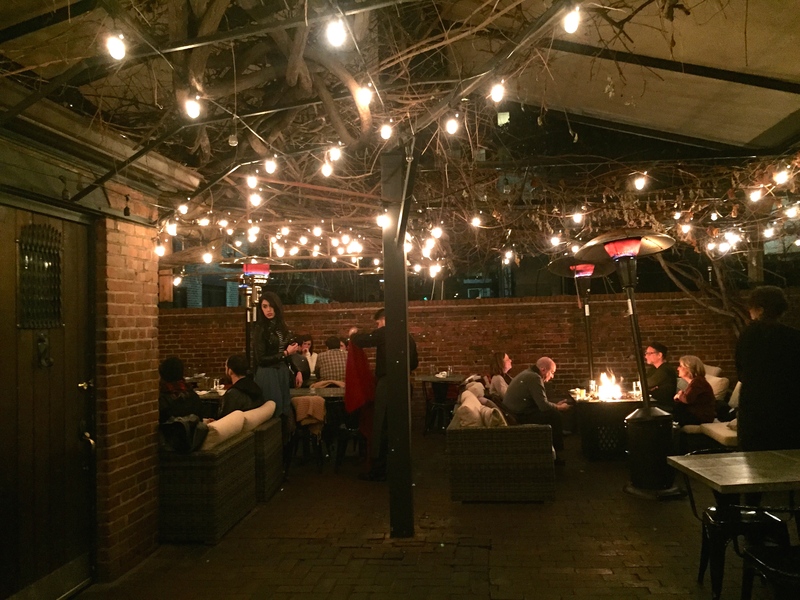 This, however, was the dead of winter, so we continued on into the restaurant and happily took our seats next to a cosy fireplace. After defrosting slightly, we took in our surroundings of a reconverted classic, initially serving as stables in 1875. 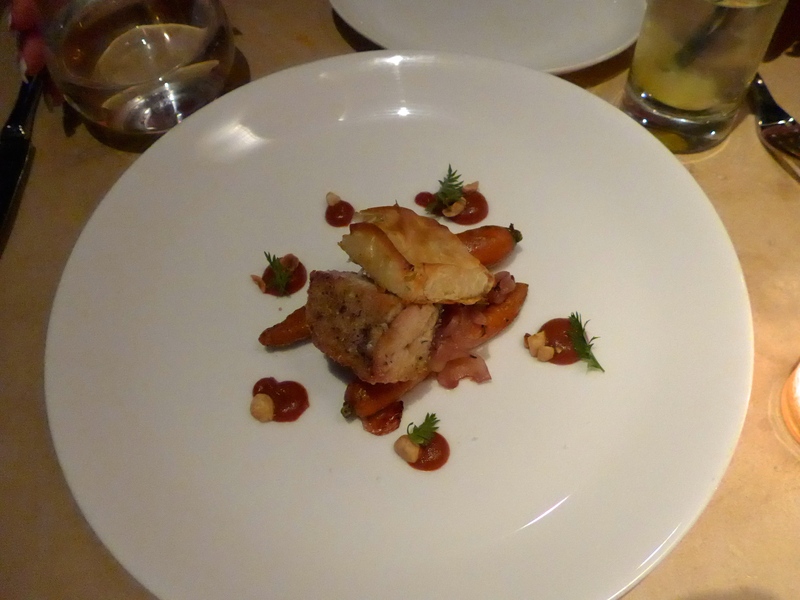 Having played host to a number of venues, purposes and people, the restaurant was most recently reopened by the Neighbourhood Restaurant Group in 2013. 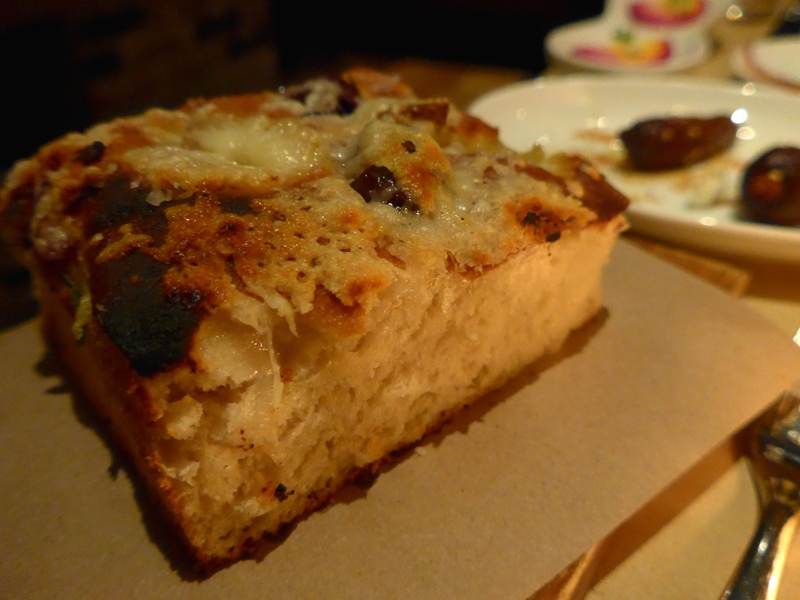 With Exec Chef Anthony Chittum behind the pass, a menu of mid-atlantic ingredients is prepared with influence from Southern Italian and Greek cuisine. 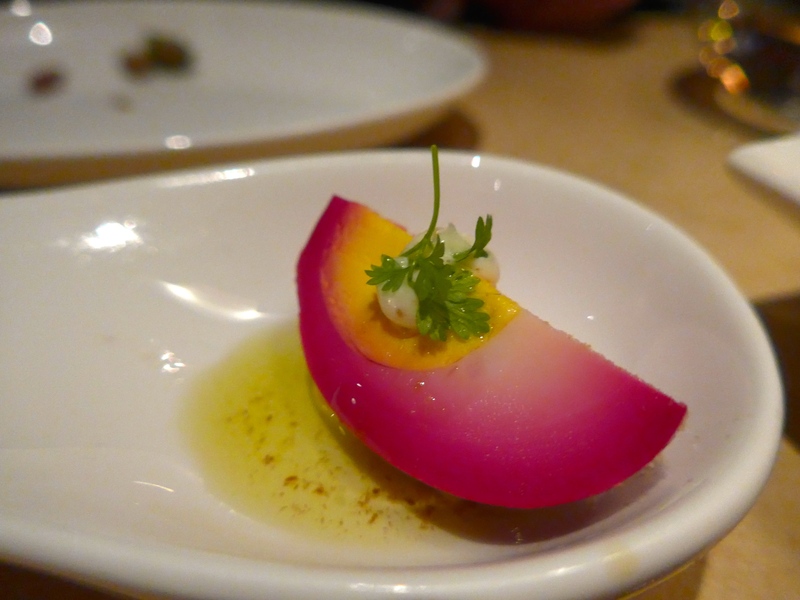 Here, the kitchen buzzes, topped with pickled treats and various, colourful ingredients. 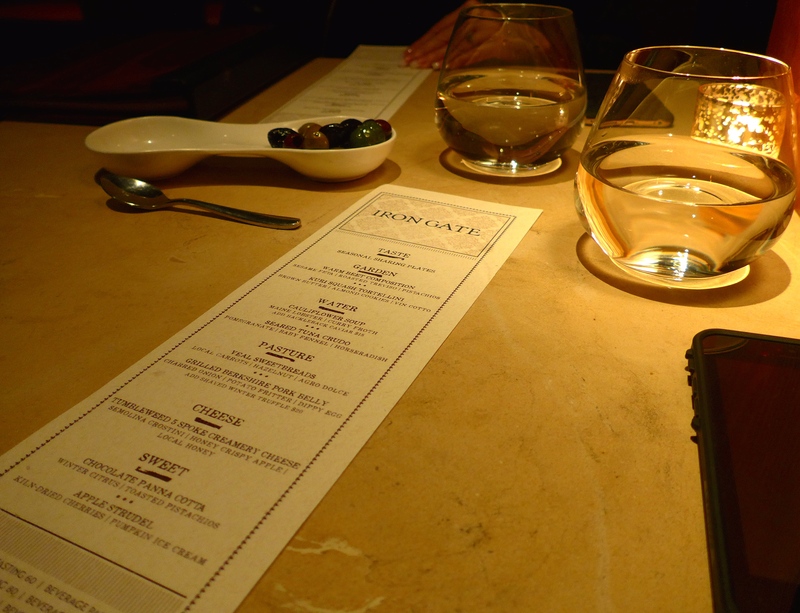 The ambiance was dark, but lively, with a happy murmur of friends catching up, dates getting to know one another and diners cutlery clinking away as they got stuck in. 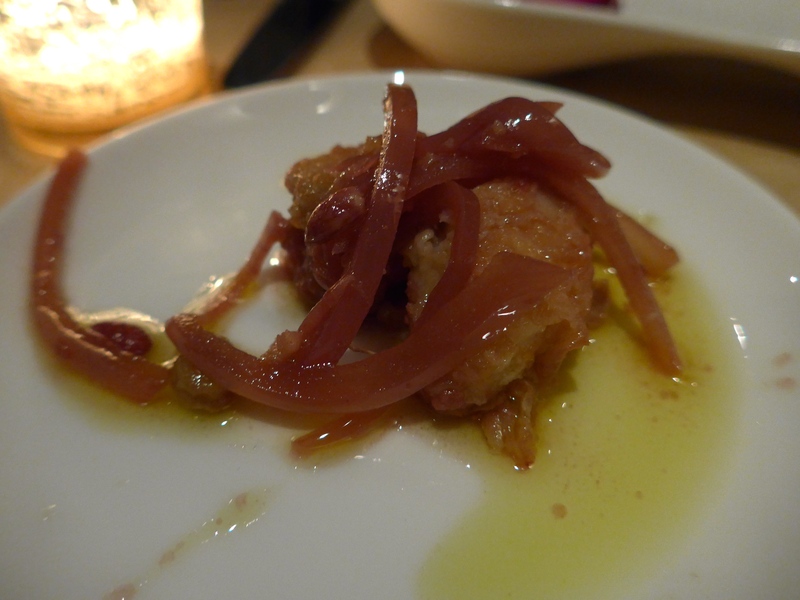 With a grumbling stomach, and one of my favourite dates (my Mama), we plumped for the tasting menu, each of us ordering a different dish so we could taste them all. 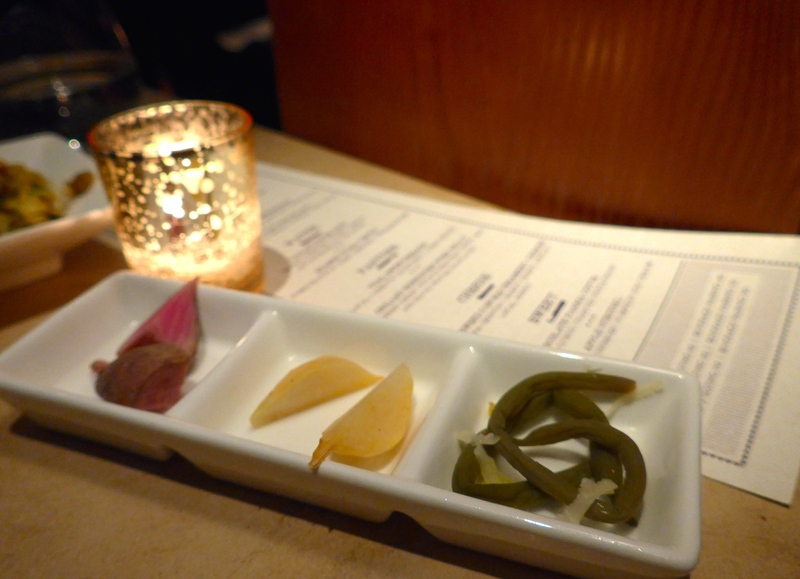 This began with a ‘taste’ of seasonal sharing plates. 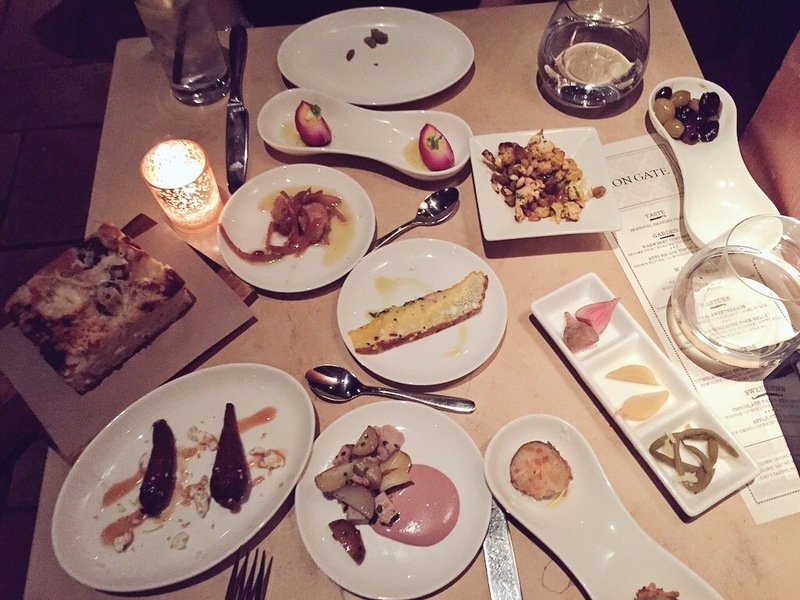 This should really be referred to as ‘miniature feast’, as a collection of small plates arrived, decorating the table with pickled vegetables, fried Jerusalem artichokes, cheesy bread topped with fried onions, heritage carrots, roasted cauliflower and more. 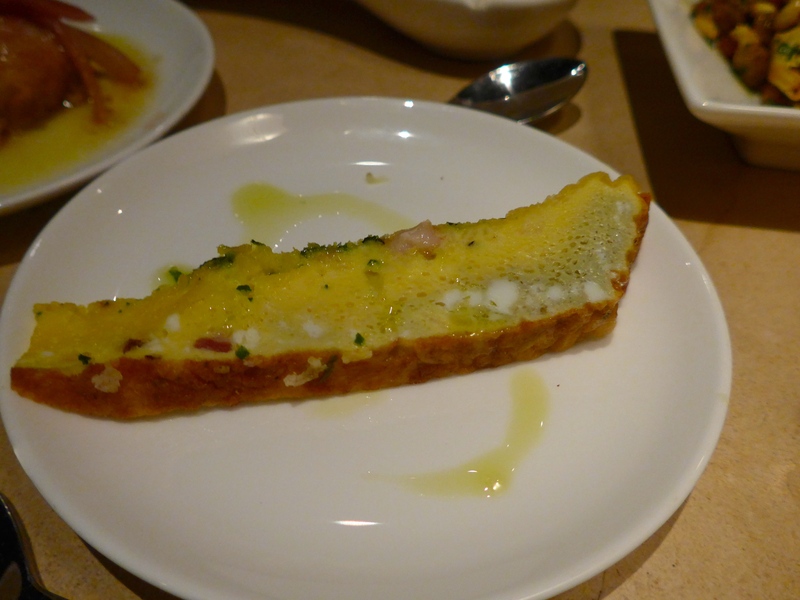 The plates were seemingly endless, a delicious introduction of the dishes to come. 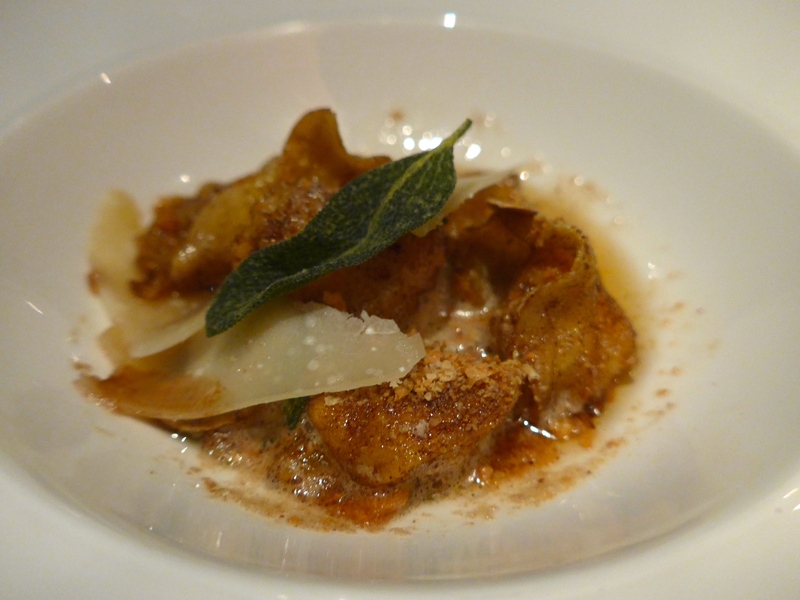 The next section of the menu was inspired by the garden, starting with kuru squash tortellini with brown butter, almond cookies and vin cotton. 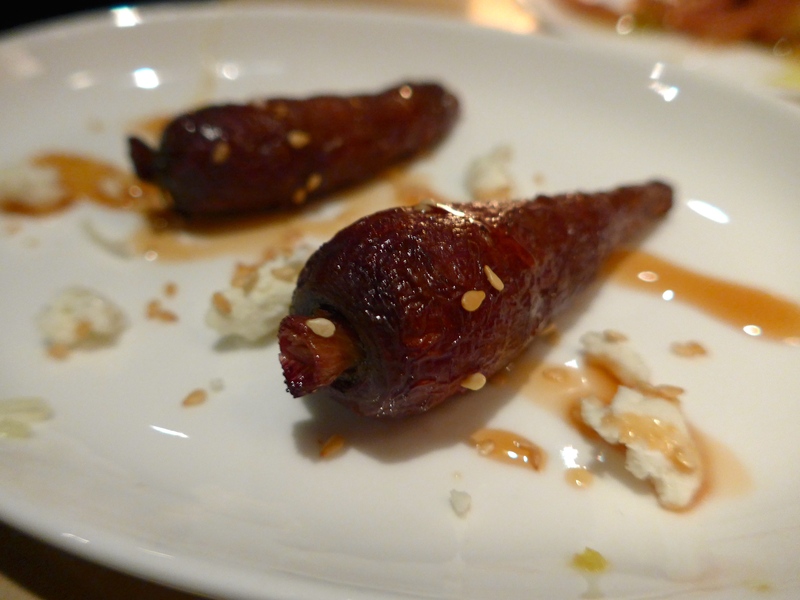 The other garden dish was a warm beet composition with sesame feta, roasted treviso and pistachio. 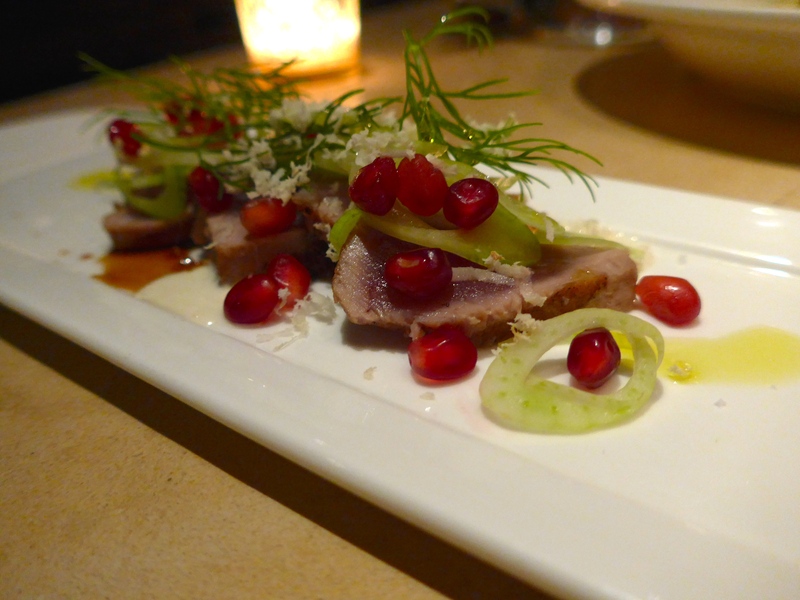 Water was the next influence, with a seared tuna crudo served with pomegranate, baby fennel and horseradish providing a refreshing taste of the sea. 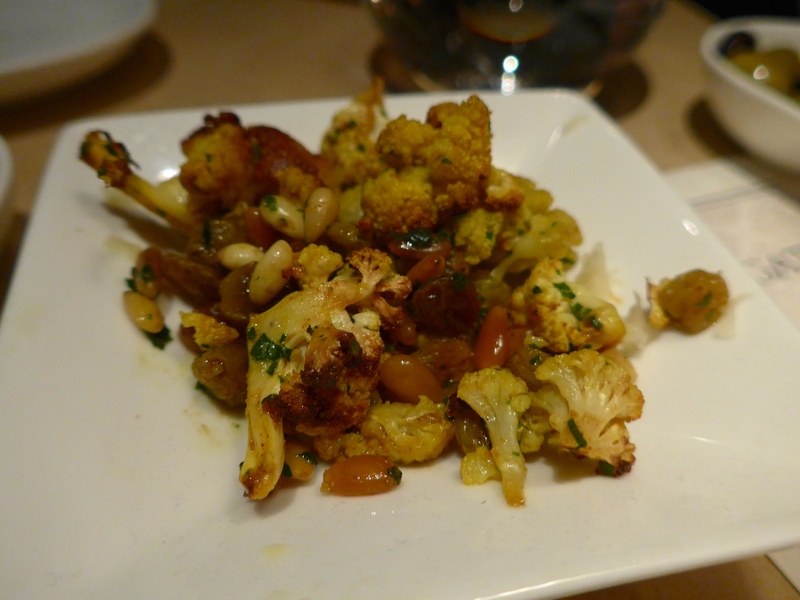 This was accompanied by a cauliflower soup, with Maine lobster and curry froth. This was a tasty, hearty dish – but, and you’ll probably never hear these words from my lips again, didn’t actually need the lobster. 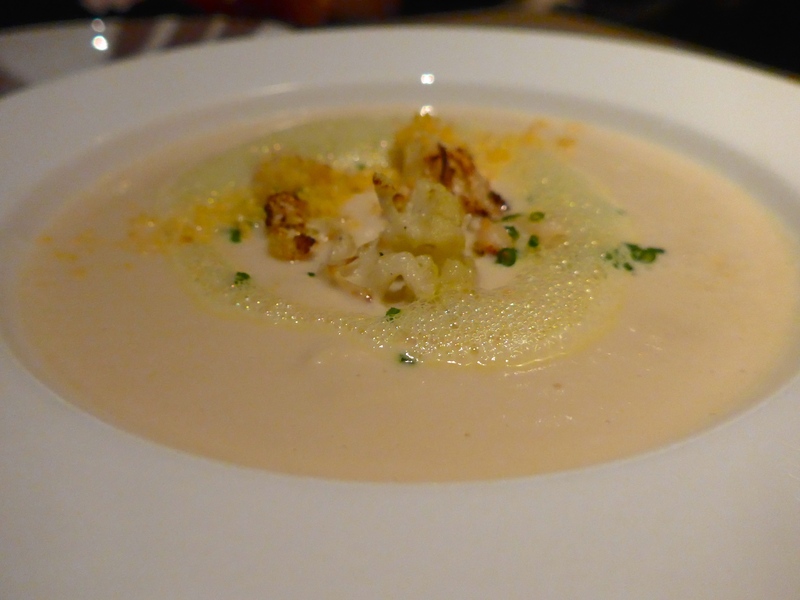 The soup was great on its own, and the tender chunks of shellfish were lost amongst the comforting cauliflower flavour. 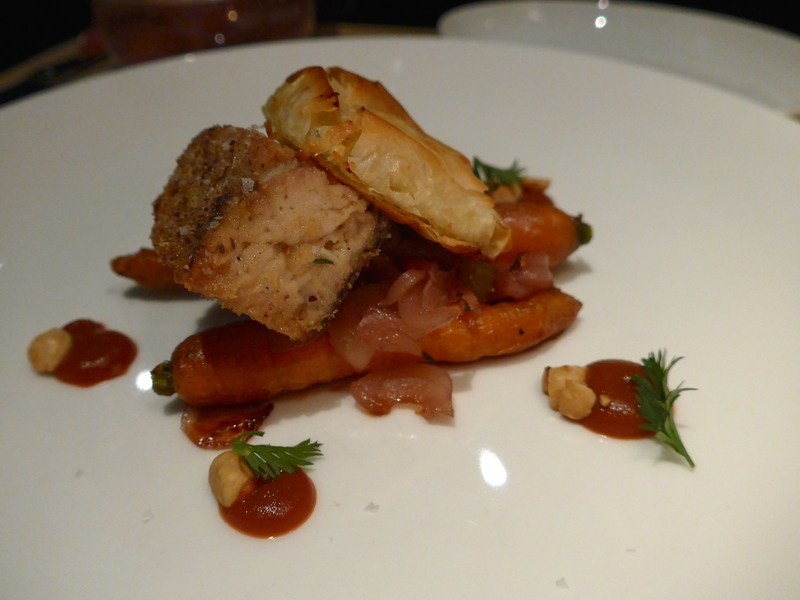 For our mains, inspired by the pasture, we shared veal sweetbreads with local carrots, hazelnut and agro dolce. 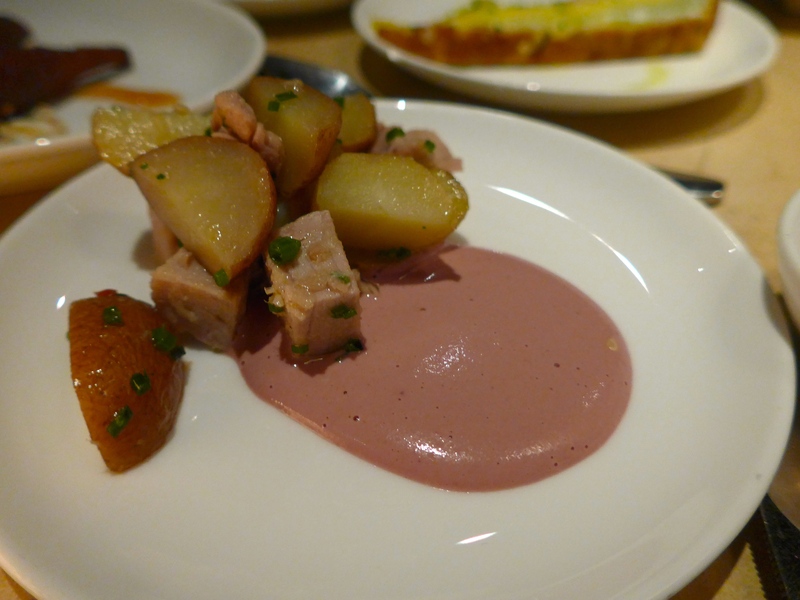 An incredibly heart portion, but great flavours! 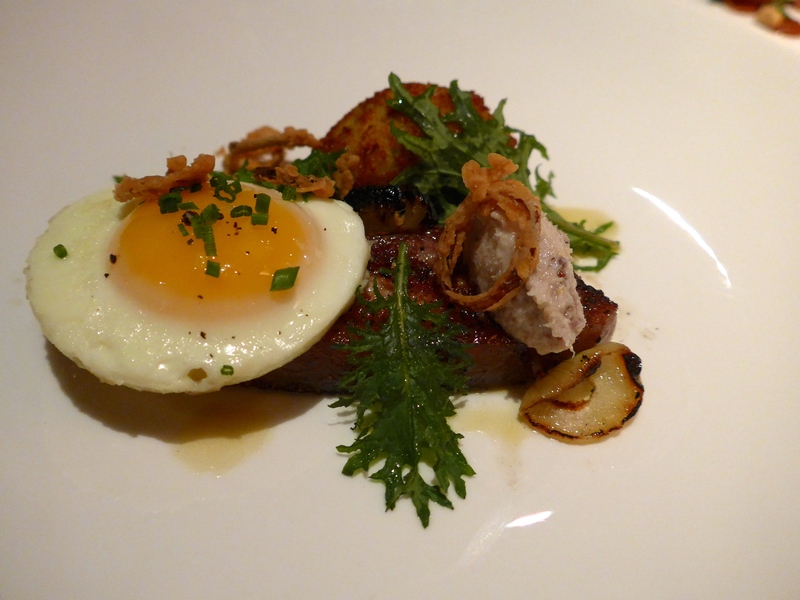 Followed by grilled Berkshire pork belly with charred onion, potato fritter and dippy egg. 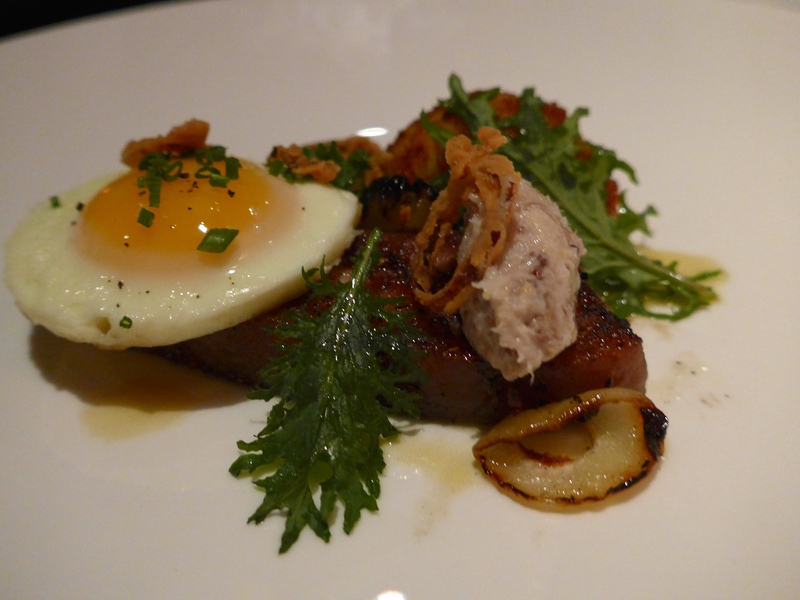 The pork belly was beautifully tender and dippy egg made a nice addition, both visually and flavour-wise. Having stuffed ourselves to the brim, we relaxed by the frequently stoked fire, sipping tea and Irish coffee over conversation. 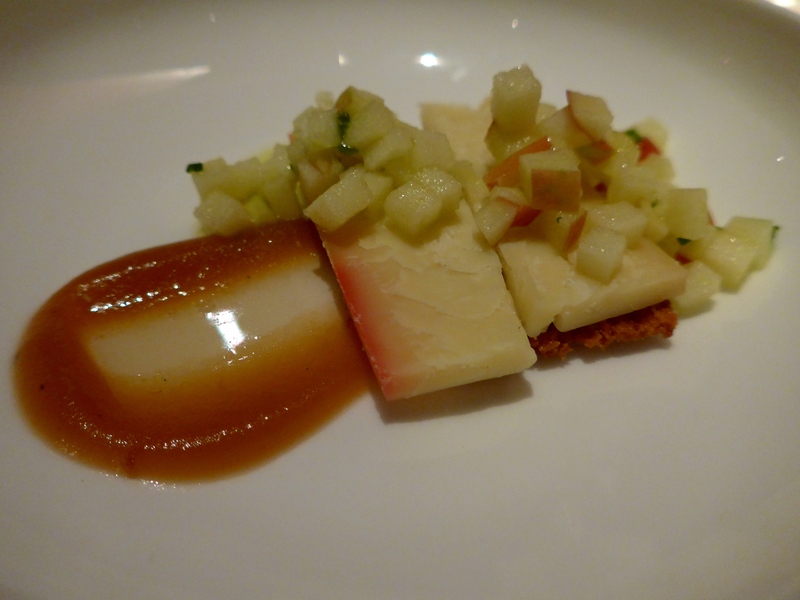 Eventually ready to further our gluttony, we enjoyed Tumbleweed 5 Spoke Creamery Cheese with semolina crostini, honey crispy apple topped with local honey. 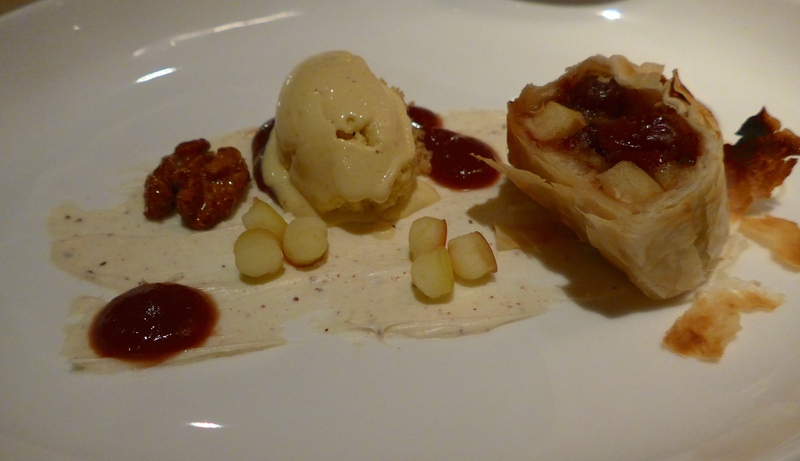 Before finishing with dessert of apple strudel with kiln-dried cherries and pumpkin ice cream. 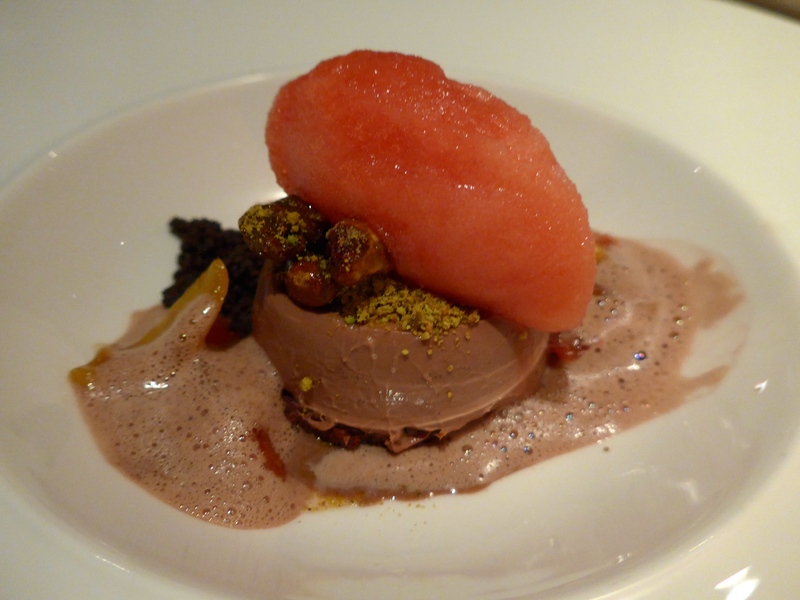 And chocolate wanna cotta with winter citrus and toasted pistachios. Sweet, honey flavoured Greek donuts, known as loukomades, were a welcome, final temptation, finishing off the sweet ending to our meal. 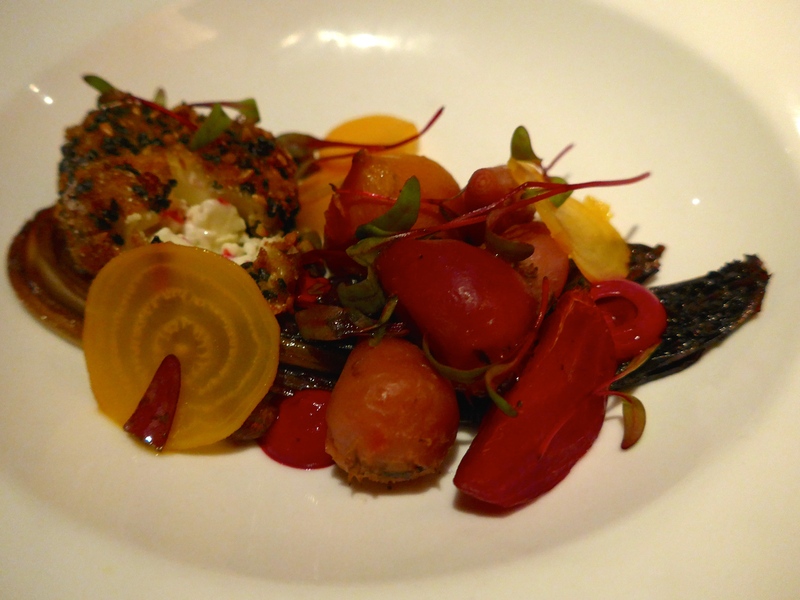 Iron Gate boasts a cosy atmosphere, with phenomenal, friendly service, and a menu of interesting, well executed dishes. I highly recommend a visit if you’re in the area, but be sure to book, as we’re not the only ones that enjoyed it!